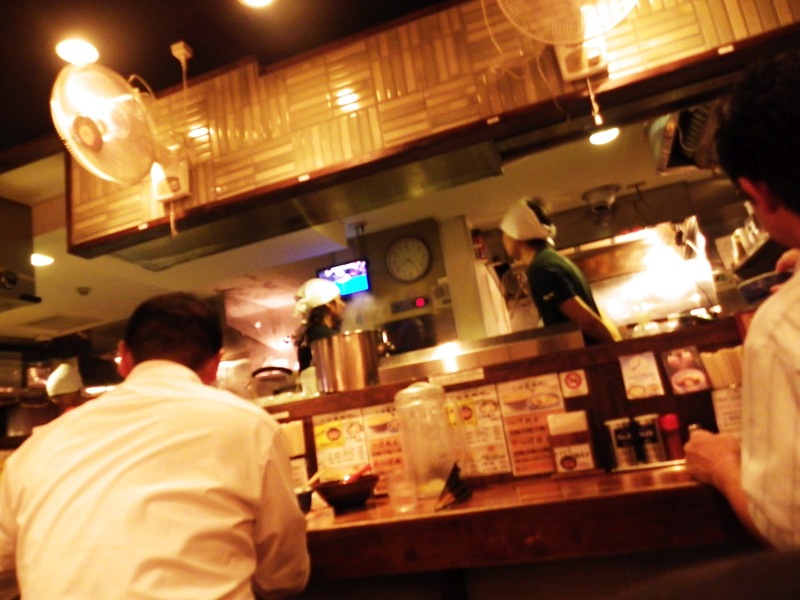 Friday night in Shimbashi is usually just a sea of white shirts wandering around trying to find a place to eat and drink, and this particular evening was no different as we made our way to Mita Seimen, a reasonably well-known chain around Toyko. These guys have done away with a ticket machine but everything else is standard ramen, well, besides the basement seating. 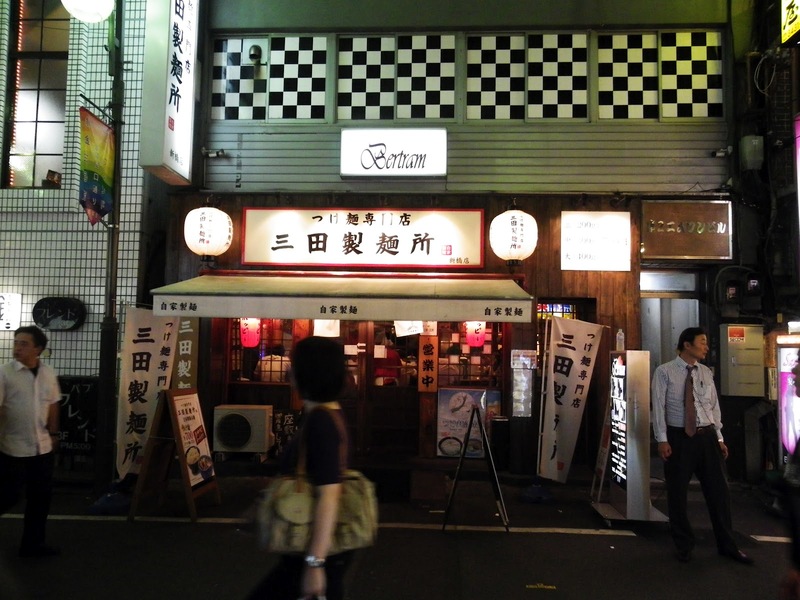 It's almost semi-Izakaya. 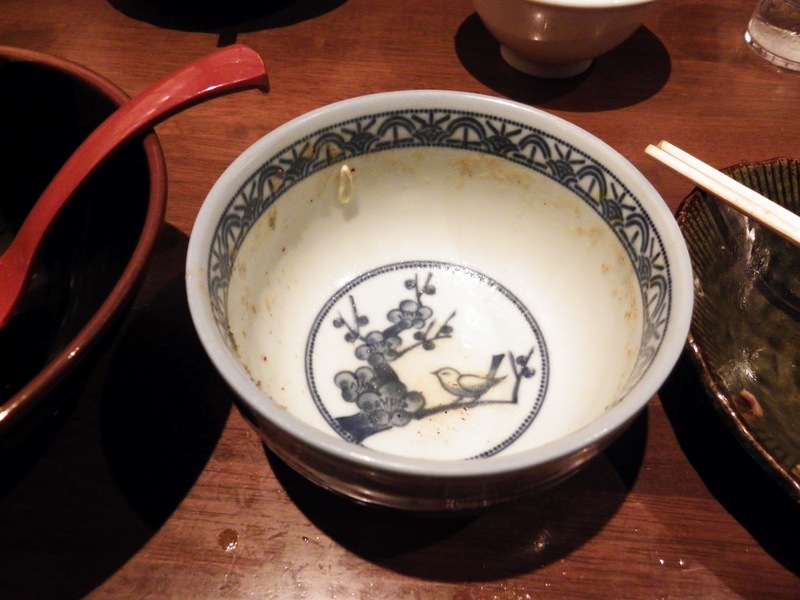 As it turns out, there was plenty of stuff hiding under the surface of the soup. I guess pork bone soup isn't that transparent after all. To be honest I was pretty pleased with Mita Senmai, the soup was very solid, the noodles chewy and sticky and I didn't leave with a feeling of regret. Not bad. Although I do remember the soup wari being pretty average.